About a year ago a work colleague and I decided we wanted to start a beekeeping project at the Royal Thimphu College (RTC). The purpose was three-fold; first we wanted to aid in Bhutan’s quest for organic farming and encourage a method to improve local crop yields, second we wanted to initiate an additional scientific component to the curriculum in a number of our courses at the RTC, and thirdly we hoped to create institutional-community linkages for sustainable development (exploring agricultural alternatives and poverty alleviation). 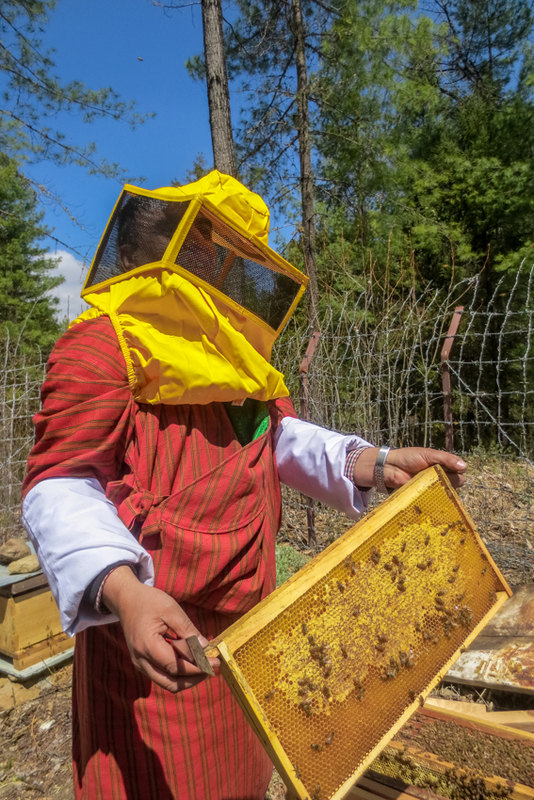 This last month (March 2015) our bees officially arrived on campus after a day’s journey from the center of Bhutan, Bumthang. Beekeeping is not new to Bhutan, the Apis cerana is an Asian bee that has native populations throughout Bhutan, mostly in the south. The Apis cerana has often been kept in hollowed out tree trunks or even in the outside walls of local homes. 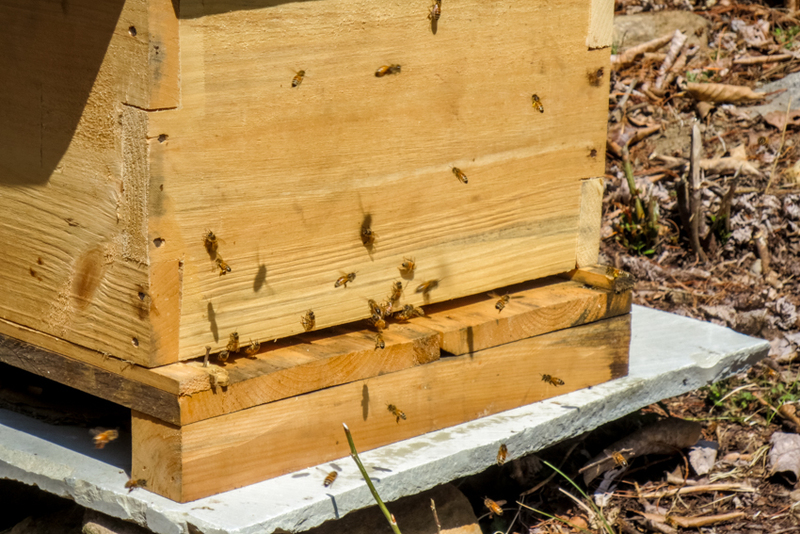 However, Apis cerana does not produce much honey and are prone to absconding behavior making it an unreliable source of income. In contrast, Apis millifera has seen much success in beekeeping operations and has shown promise in the Himalayas as well. Apis millifera was introduced to Bhutan in 1986 by Mr. Fritz Maurer.1 It was from Mr. Maurer’s operation that we purchased three starter hives for the RTC campus. There is of course some concern that Apis millifera is not native to the region, and for sustainability purposes I would encourage native varieties for various agricultural development projects. 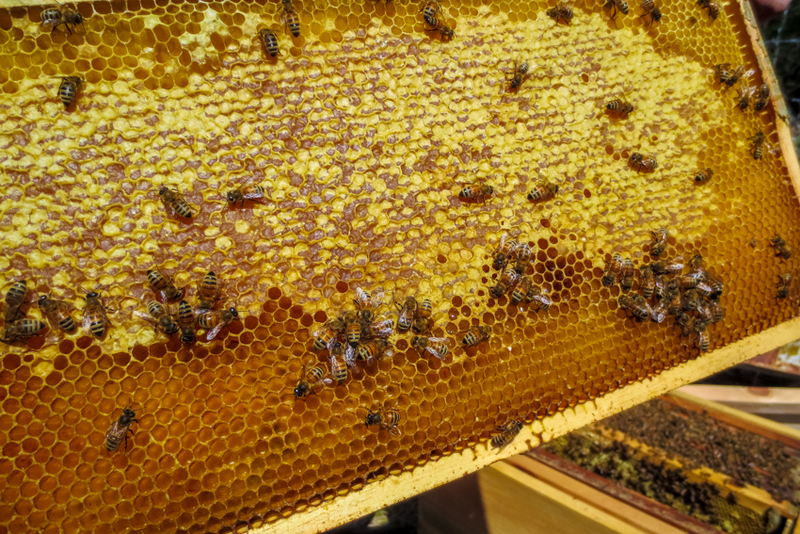 However, Apis cerana has not shown itself to be a proper specimen for economic development, yet research has been done to make it more feasible.2 Apis millifera has not shown unacceptable environmental impacts, but it is not without it’s problems. Apis millifera requires more management effort as it has not adapted to the Himalayan environment and is prone to various illnesses. I am not a beekeeping expert; I’ll leave that to my Bhutanese work colleague. However, I do hope to encourage educational opportunities at the RTC and create development opportunities for rural communities. It is with this aim that I take part in this project and will provide periodic updates on our progress in the future. 1 Gupta, R.K., W. Reybroeck, J vanVeen, and A. Gupta (Eds.). (2014). Beekeeping for Poverty Alleviation and Livelihood Security Volume 1: Technological Aspects of Beekeeping. Springer Publishing. 2 ICIMOD. (2002). 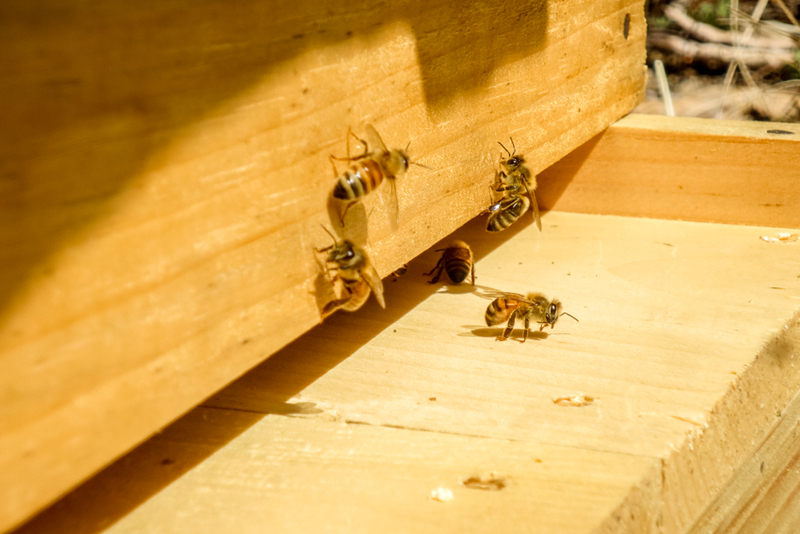 Retreating Indigenous Bee Populations (Apis cerana) and Livelihoods and Himalayan Farmers. Website: http://www.icimod.org/?q=1509. Accessed on March 28, 2015. Another interesting element of Gurung’s expanded research is that when various experts were polled to determine which tourism strategies should be employed to best meet community development goals, the current status quo ranked at the bottom of the list.2 The number one option ranked by experts was community based ecotourism, followed by community based socio-cultural tours and then trekking. Granted, this specific study was focused on scenarios inside Jigme Dorji National Park, however I think similar parallels exist outside Bhutan’s protected areas system. Tourism in Bhutan began in 1974 with a mere 287 visitors. In 2013 there were 52,783 international visitors, which is apart from the 63,426 regional arrivals (India, Bangladesh, and Maldives).3 The question is, who is experiencing the benefits of such an increase? 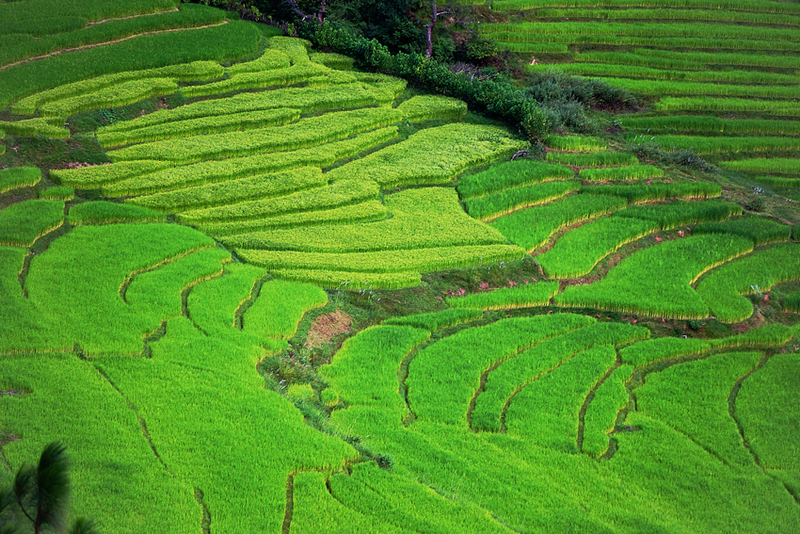 It seems that relatively few tourism companies/individuals are, leaving much of the rural population untouched. A demand for ecotourism is on the rise and may be the answer to proper distribution of tourism economic benefits. 1 Gurung, D.B. & Seeland, K. (2008). 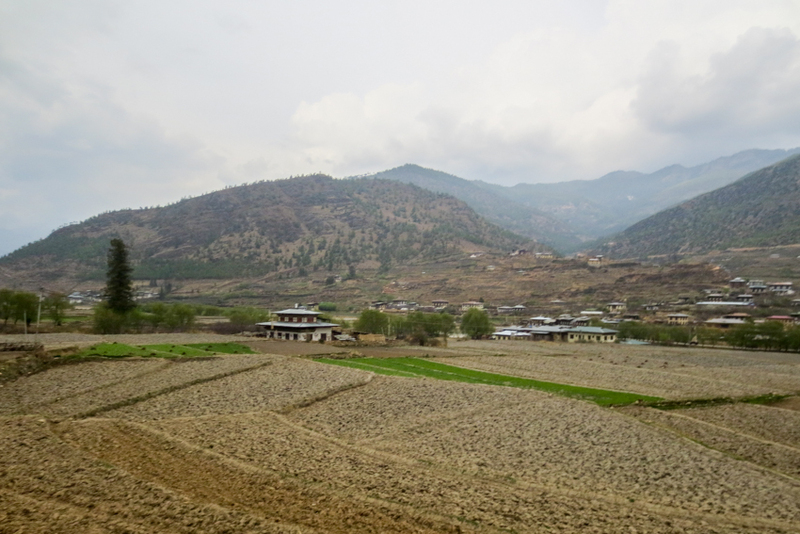 Ecotourism in Bhutan: Extending its Benefits to Rural Communities. Annals of Tourism Research 35(2), 489-508. 2 Gurung, D.B. & Scholz, R. (2008). 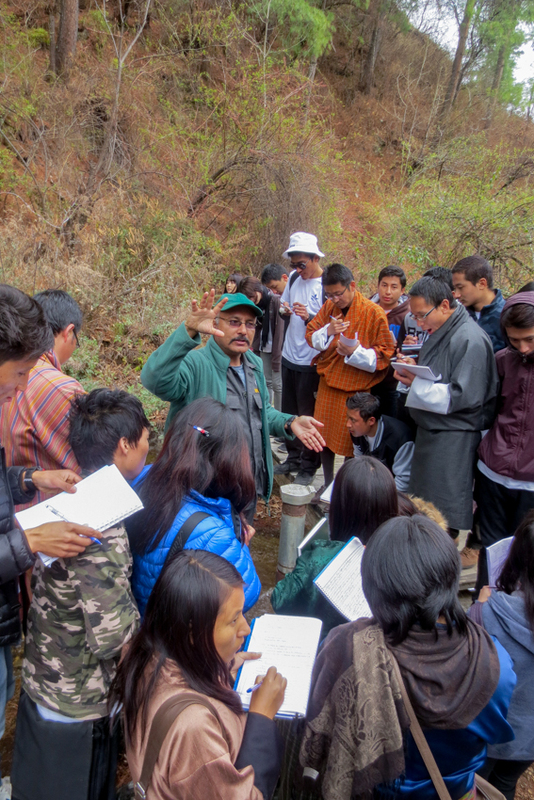 Community-based ecotourism in Bhutan: Expert evaluation of stakeholder-based scenarios. International Journal of Sustainable Development & World Ecology 15, 397-411. 3 Tourism Council of Bhutan. (2014). Bhutan Tourism Monitor: Annual Report 2013. Thimphu, Bhutan.